How to Choose the Best Cabinets for Your Kitchen? If you are planning to remodel your kitchen then going with kitchen cabinets from a reliable company will undoubtedly help you in saving a lot. 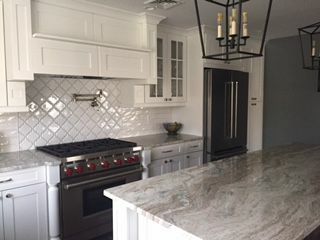 This is because professional companies not only guarantee value for money services but at the same time, they ensure that the cabinets that you have received are the cabinets that you always wanted for your kitchen. Hence, here are a few tips that will help you in exploring the perfect kitchen cabinet that turns out to be a standout. First, you have to consider those factors that are quite important for you. For instance, what do you think should be present in your kitchen cabinets- aesthetic appeal, quality construction or durability? You must realize that making a dream worthy kitchen takes time and some patience too, hence always be realistic about your goals and plan out things in a similar manner. Once you are clear about your expectations then decide a budget that you think will go best with it. One thing can be noted here, it is wise to balance your money between aesthetics appeal and quality construction, as this well help you in achieving the finest kitchen cabinets. There are three types of kitchen cabinets available in the market; these are mainly categorized on the basis of how they are manufactured. Custom: These are customized cabinets that are built as per the specifications of the customer. They have no limitation in terms of choice, style, grade, size or finish. Basically, they are made to order just as per your requirements. Semi-Custom: These types of cabinets are a little different from the custom ones which are pre-manufactured, yet they are available in a wide range of options. With the help of semi-custom cabinets, customers can grab the opportunity to pick from pre-built choices and give them the appeal or feature that they need. Only difference is that semi-custom cabinets often use pre-built stock but custom cabinets are always made from scratch without the use of any type of pre-built component. Stock: These are 100% pre-manufactured cabinets that are available in specific size and shape. These cabinets come in limited range without any option of customization. However, they are considered to be little cheaper when compared to the custom or semi-custom cabinets. Once you have found the right style of a kitchen cabinet for your house the next step is to focus on the construction quality. There are three elements that are part of this process and they are the quality of the material, design, and construction and professional skills. An experienced company that has been offering its kitchen cabinet services to the customer can only work on achieving these three components in an efficient manner. Therefore, the last tip is to only go with a reliable company when it comes to the purchase and construction of kitchen cabinets. As with such a company you can get your dream kitchen in no time!